Facing a surge in retirements and a drop in new applicants, police departments across the United States are taking a fresh look at their recruitment strategies. Their goals are twofold: First, they want their forces to stay strongly stocked with high-quality officers to keep their residents safe. At the same time, they want to attract more women and people of color, so that their departments better reflect the communities they serve. It’s quite possibly the largest hiring challenge cities face. 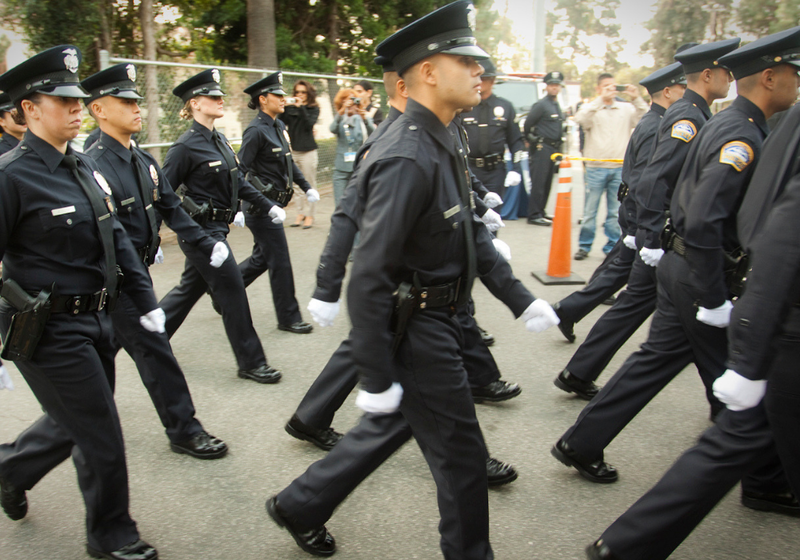 In most cities, the police department is the agency with the most shoes to fill: Los Angeles, for example, has a police force of about 10,000 officers and must hire more than 500 new ones a year just to keep up with attrition. Owing to the sensitive nature of police work, a typical city’s hiring process takes more than six months, with separate steps for interviews, background checks, police academy, and other requirements. Dozens of cities are tackling this challenge with the help of Bloomberg Philanthropies — whether through What Works Cities, which helps cities improve their use of data and evidence, or the foundation’s Innovation Teams program, which supports in-house city hall consulting units to drive new ways of solving city problems. Here are six of the strategies they’ve found most successful. Small changes in the way job openings are advertised can make a huge difference in recruitment prospects, and experimentation is the best way to find out what really works. That’s what Chattanooga, Tenn., did, in partnership with the Behavioral Insights Team, which works with cities to implement rigorous low-cost trials to test out different strategies. The Chattanooga team mailed recruiting postcards to around 22,000 potential recruits, testing four different messages to catch their interest. One postcard portrayed policing as “challenging but rewarding work.” Another highlighted the virtues of service. A third focused on the impact officers can make in the community, while a fourth talked up the long-term career benefits. The result? Messages related to the challenge of the job and career benefits were by far the most successful at inspiring applications, especially from people of color. 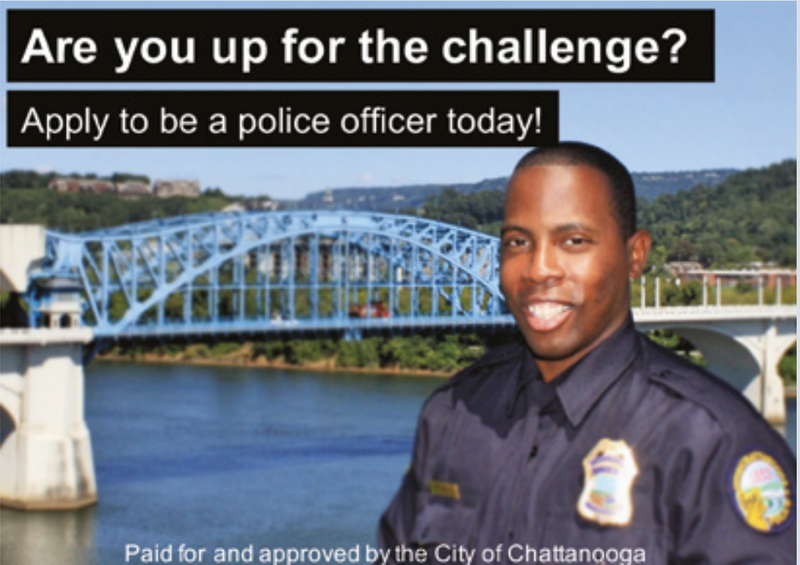 Chattanooga has since added the winning messages to other recruiting materials, from posters to Facebook ads to public service announcements on the radio. A recent report from the Behavioral Insights Team outlined a few other pointers for using postcards to recruit: Personalized messages that use the recipient’s first name work, as do cards that feature a role model whose image and voice can help recruits picture themselves in the position. When it comes to streamlining hiring processes, cities face limits: background checks, fitness tests, and even polygraph tests are part of making sure high-quality candidates get the job. But cities find there’s more they can do to help people navigate the process. Los Angeles, for example, is using a combination of technological and human interventions. The city’s i-team, in tandem with the city’s IT department, built a chatbot for a police recruitment website. The feature, called “Officer CHIP,” answers potential recruits’ questions 24/7, and has reduced the volume of queries by phone and email. Applicants can also talk to mentors, who are current LAPD officers and help guide recruits through the process. Other cities have found small tweaks can make a big difference. For example, Chattanooga saw a spike in applications after making its job posting open online year round and creating a consistent monthly schedule for exams and background checks. It’s common to see recruits drop out of the long and complicated application process, but, as L.A. found, it’s possible to re-engage them. Their research found that one-third of those who dropped out did so at the same point, when it came time to write a personal history statement. After working with the Behavioral Insights Team to introduce text-messaged nudges, they saw a 15-percent increase in the number of applicants who completed the process, according to Karli Stander, deputy director of the Los Angeles i-team. Scottsdale, Ariz., found success with similar tactics. After reaching back out to people who had expressed prior interest in joining the force but failed to complete the application process, they more than doubled the number of applications received. In Baltimore, the i-team’s research found that the physical fitness test was a consistent block — especially for women recruits. In fact, in 2017, 20 percent of applicants failed the fitness test, including 55 percent of women. Instead of simply bouncing those candidates out, Baltimore borrowed an idea from Los Angeles and piloted a boot camp last summer called “Fit to Serve,” which met three times a week at the police academy. Because classes were also open to current officers, they gave recruits the opportunity to not only get in shape but also to mix it up with people already on the force. While the LAPD has a long-running magnet program for teenagers interested in policing, participants have to wait until they turn 21 to apply for the force. In order to keep from losing them to other professions, Los Angeles created an apprenticeship program for young adults, called “Pledge to Patrol.” The program employs high school graduates for part-time work as “Associate Community Officers,” or “A-COPs.” It also provides them with training and experience that gives them a leg up in the hiring process once they’re old enough to apply. Currently, 13 Pledge to Patrol participants are in the hiring process and one recently graduated from the Police Academy. One hallmark of the i-teams’ approach to problem solving is to use the techniques of “human-centered design.” For an issue like police recruitment, that means deeply understanding the experience of both recruits and those doing the hiring, in order to build empathy for them and uncover challenges that may not be obvious. In Los Angeles, i-team members shadowed people in the personnel department to understand how hiring works from their side. They also put themselves through the hiring process, from taking the tests to sweating through the fitness trainings, as if they were applying for the job themselves. They rode along on police patrols, to understand the day in a life of a police officer. And they also interviewed people who dropped out of the process to understand why they left.